Dive deep, go strong, never give up. Our heroes, competing this weekend in Bend. Think you've hit your "max-out" date? Think again. 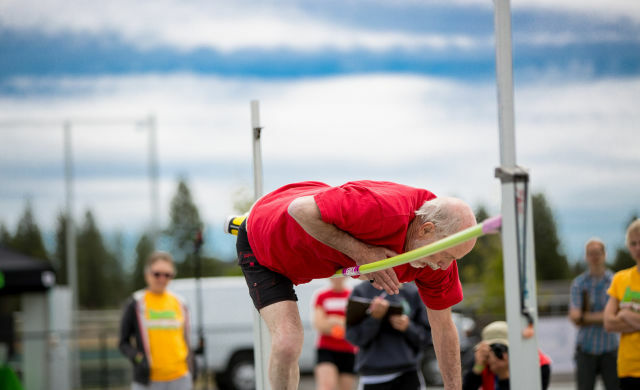 All competitors at the Oregon Senior Games are over the age of 50; some die-hards are well into their 90s. The Games consist of four days of stiff competition in 16 sports ranging from archery to cycling and pickleball. 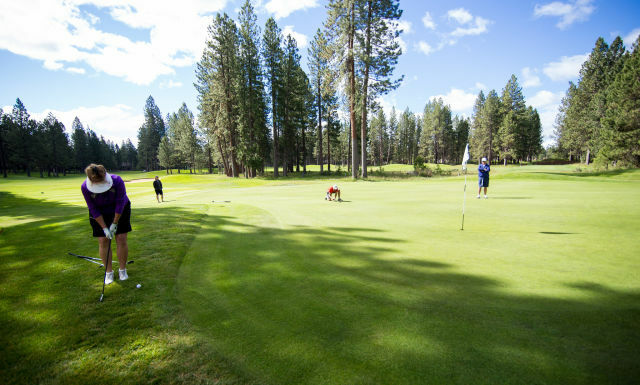 This year, the third annual tournament kicks off in Bend. 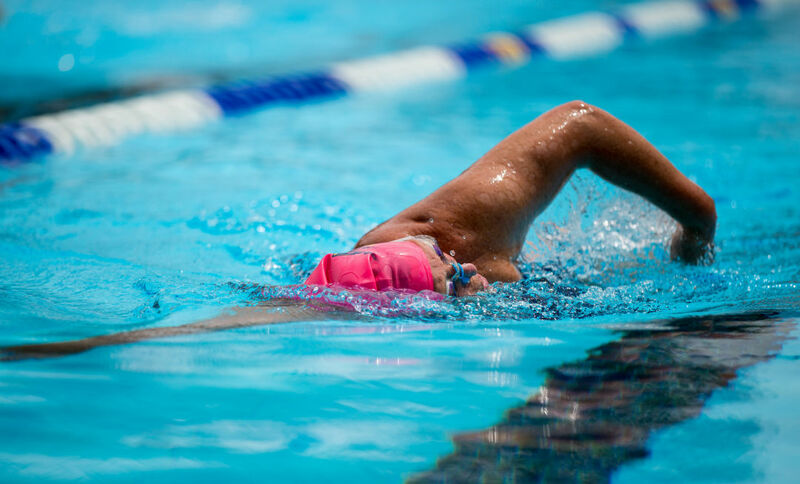 From June 9–12, participants will compete for the chance to qualify for the National Senior Games, which take place next June in Birmingham, Alabama. We sat down with coordinator Hank Therien to find out what the Games are all about. So, when did all of this fun begin? We started operating them in 2014. What was the reason for starting the Oregon games? We see a big retirement population and the senior games are just another way to keep an aging population happy, active, and healthy. In the past two years, how many participants have you seen each year? Across all sports in 2014 we saw just over 500 in our first year. Last year we grew to just over 600, so we saw 20 percent between one and two. And this year we are pacing to hit the 750 athlete mark, which is kind of the number we’ve had in our head that we’d like to be at by the end of year three. How many competitors will qualify for nationals? We medal first, second, third place in each age group, in each gender, in each sport. We’re an open games so folks are eligible from any state, but there is preferential treatment given to Oregonians. For instance if a softball team from Oregon places first, Washington places second, and then California places third, and then Oregon places fourth and Oregon places fifth, all five teams will qualify for nationals because your top three placing Oregon teams as well as your top three finishers all qualify for nationals. Are there any top competitors predicted for this year? We don’t spend much time tracking that information; a big part of our mission is trying to walk this balance between having a competitive event that is interesting for folks who are die-hards in their sport, and having an event that is not so daunting to somebody who hasn’t participated since high school. In a time where sports like soccer, gymnastics, and more have a “max-out age” when players are considered too old to continue competing, an Olympic-style tournament featuring matches between athletes that are all 50 and older (Florence Latter is the oldest reigning competitor at 93 years young!) is more than just inspiring. 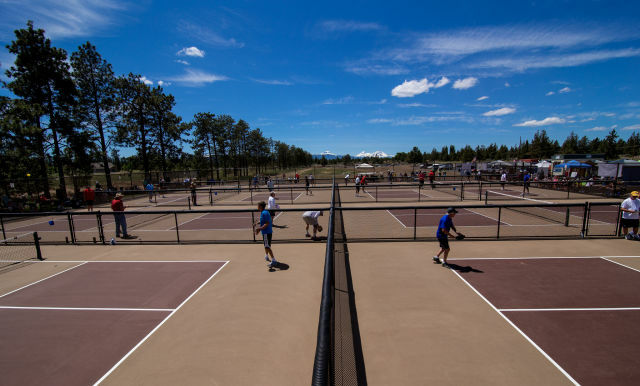 The Oregon Senior Games take place from June 9–12 in Bend. Cheer on your favorite locals at any of these events.